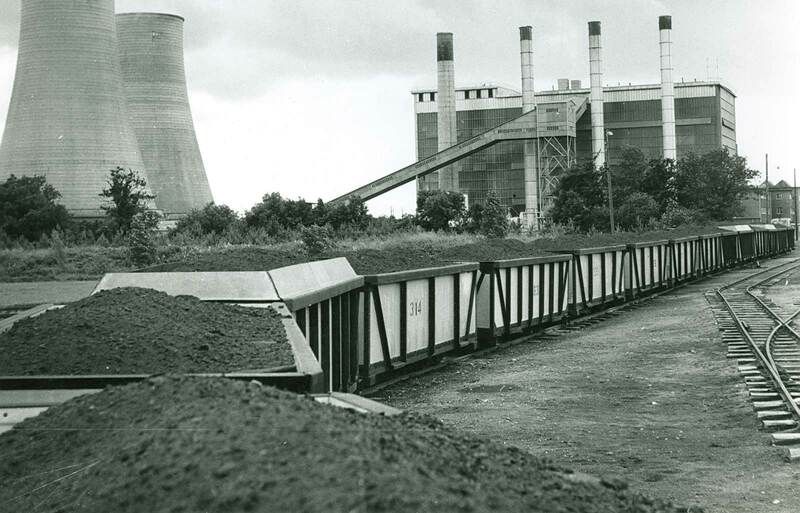 The equipment needed for peat production throughout our history has had to be rugged, adaptable and specifically tailored to withstand Irish conditions. The Turf Development Board initially used sleans to cut peat. Since then, production machinery was developed and refined to move from a manual job to a mechanical one. Our Industrial Railway has 710 km of narrow gauge rail, 570 km of which is permanent track. 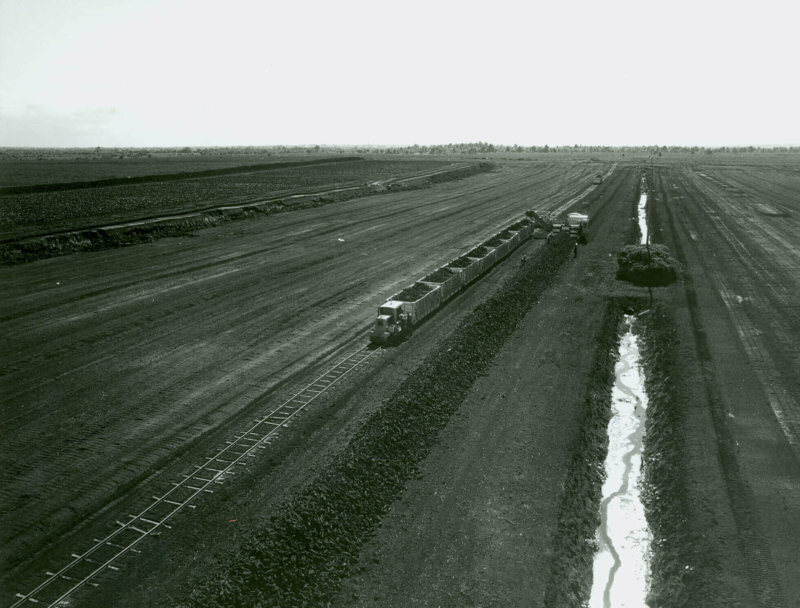 The use of locomotives has been essential for moving peat from the bogs to production facilities. peatlands. See the machinery we use, and how we ensured they were able to handle the work needed from them. Irish peatlands require specific preparation before production can begin. 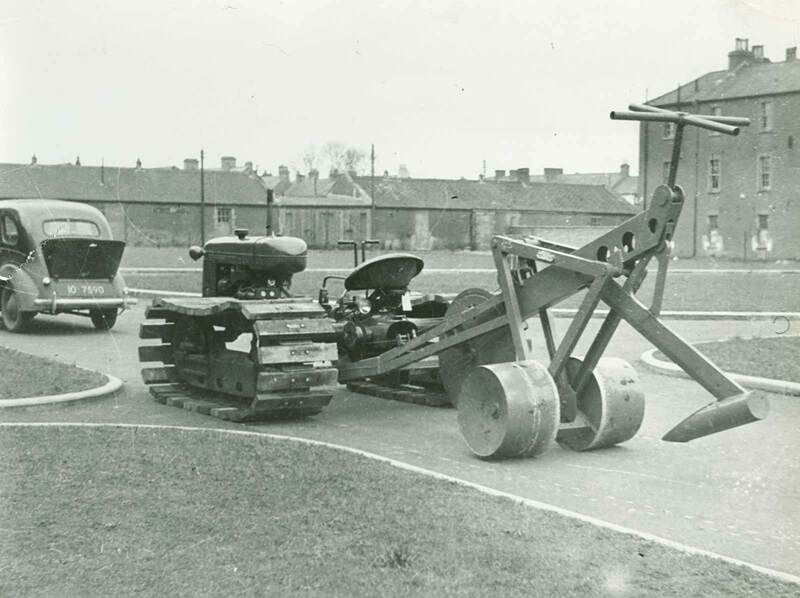 Specialised machinery was needed to carry out this work.